Clothespins: you can by huge packs of them at a super low price, and they’re made of solid wood. 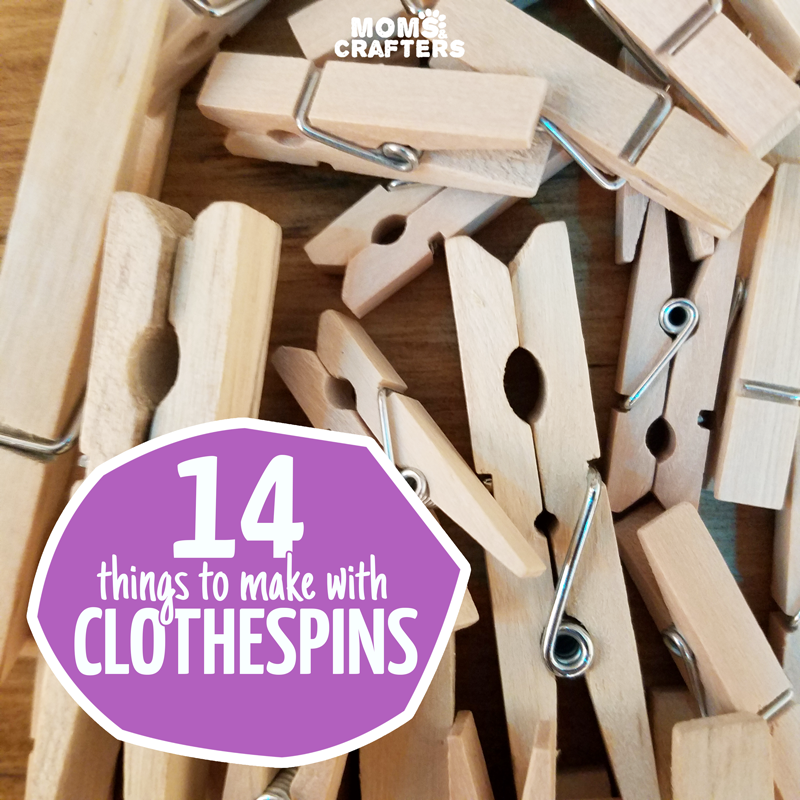 That’s what makes clothespin crafts so amazing – they are sturdy and not in the least bit tacky, like some other cheap craft materials can be. 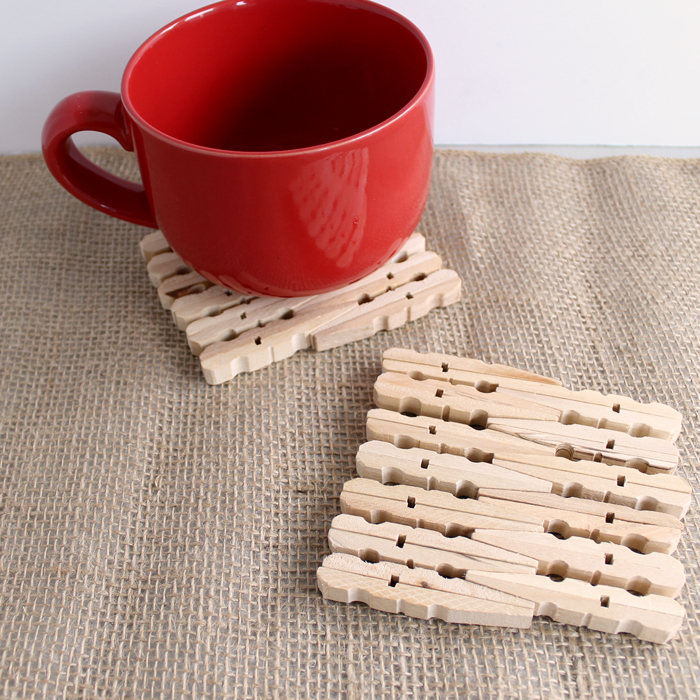 You’ll find endless things to make with clothes pegs but here are just a few. A while ago, I picked up a cheap pack of clothespins to use for crafting. I started by coating some in narrow duct tape ( which adheres better than washi tape) and gluing magnets to the back using this glue to display my son’s artwork on the fridge. 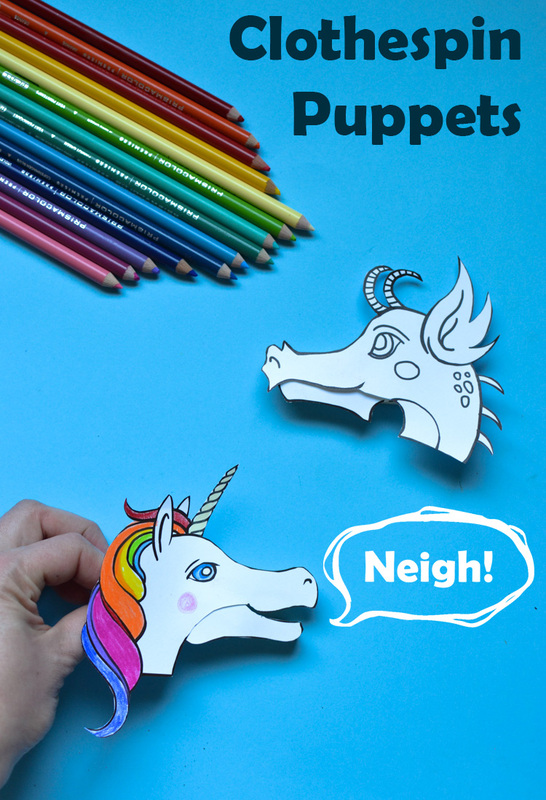 I never even shared that mini craft on the blog, but recently, I posted these fun puppets which went viral on Facebook. 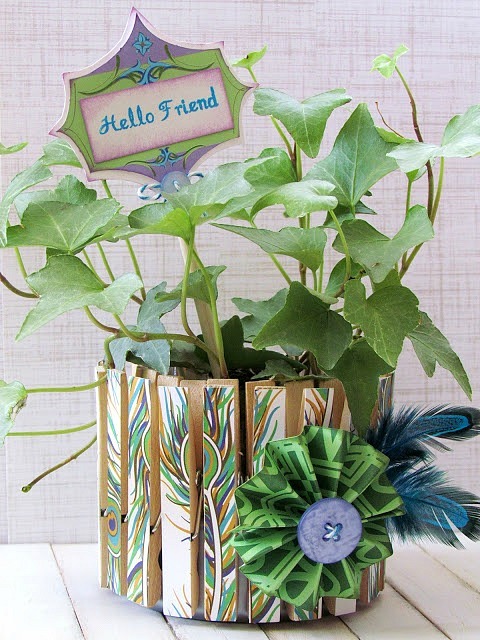 I began to learn just how diverse clothespin crafts can be, and how versatile they are. 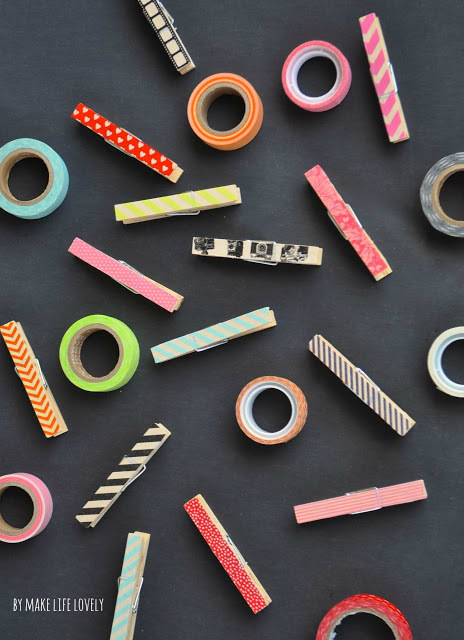 I still have so many clothespin crafts ideas in this overloaded brain of mine, and am working on something new now, but meanwhile I wanted to share some great ideas you’ll love! And now, I’m off to work out what to do with mini clothespins, and off to buy me some colored ones! 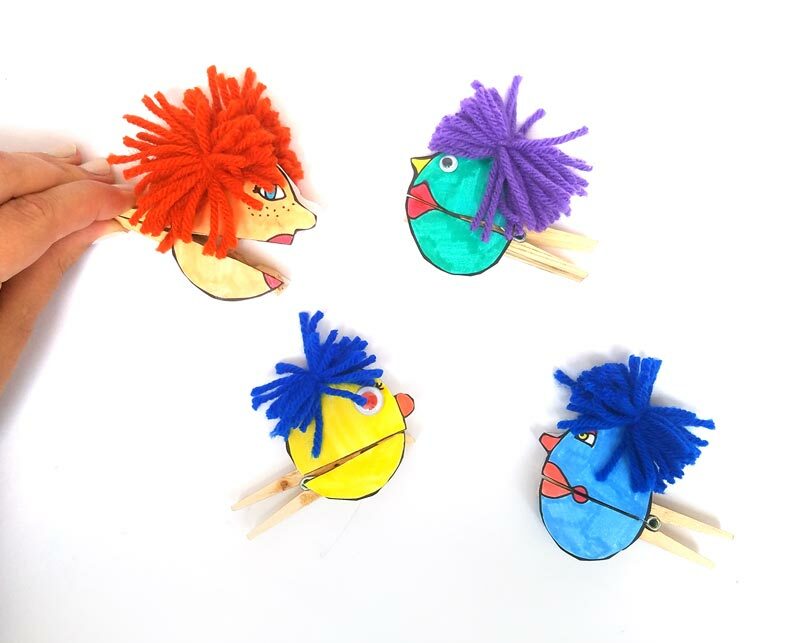 All of the images for these clothespin crafts were used with the permissions of the respective bloggers for the purpose of this post. Click on the title link or image for the full tutorial. I have created a square and vertical image for your convenience for sharing these clothespin crafts. Please use the first or last image in this post when sharing and not one of the individual photos below, out of respect for the creators’ copyrights. What an adorable craft! Use bright colors and make funny faces to act out your favorite story book! 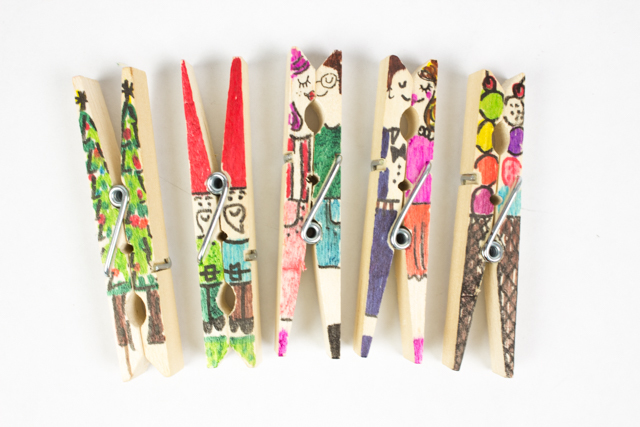 These clothespins get turned into a STEAM project- so they are not only adorable, they’re educational! Get ready for a puppet show! This is the perfect craft to express yourself. I can’t wait to get my family together around the table and just have fun drawing these! It doesn’t get better than this! These dinosaurs are so fun! 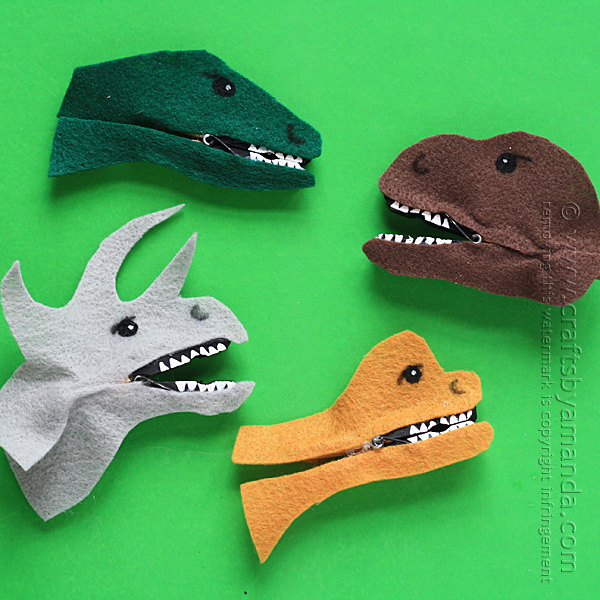 I know my son will love making these come to life! Aren’t these ballerinas undeniably sweet? Make a bunch, set up a stage and put on a show! It’ll keep your kids occupied for hours! My son would go totally gaga over these! I can’t wait to try it out and personalize it with some paint and stickers. The perfect craft for summer! 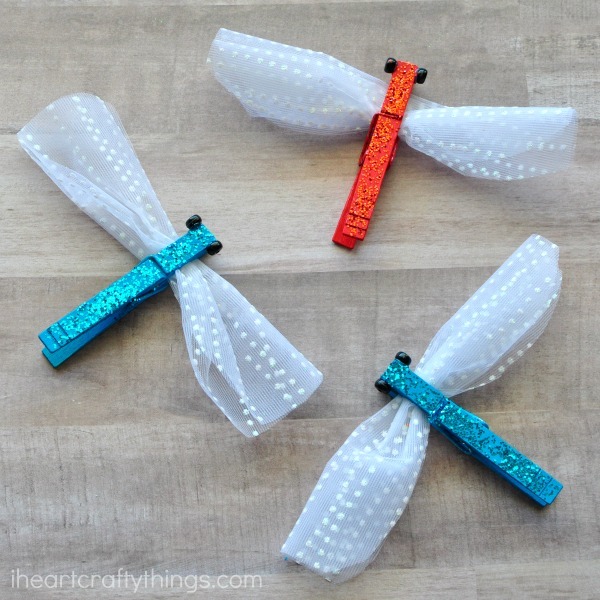 This is a great way to get your kids talking about insects- and they’re glittery too! 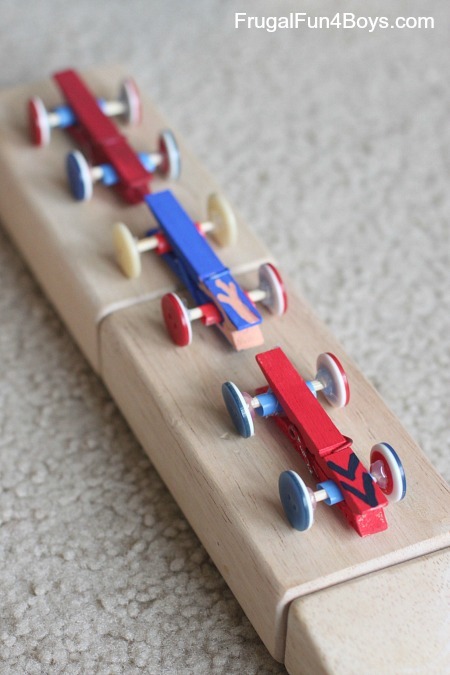 This is a great clothespin craft to do with your kids- and it’s a toy that will last, and get used over and over again! 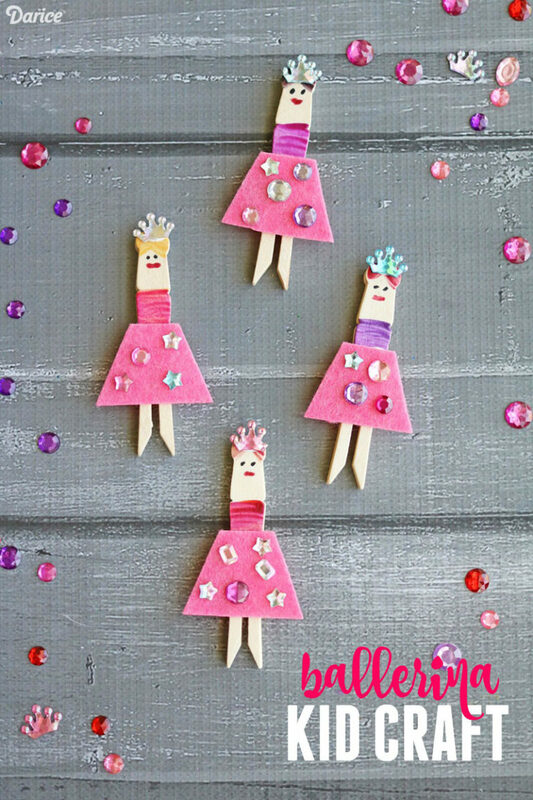 I am obsessed with this clothespin craft. I love everything about it- the creativity, the use, the addition of the beautiful paper on the clothespins… it just puts a smile on my face! How cool is this? This is such an inexpensive way to add a unique decor element to a room. 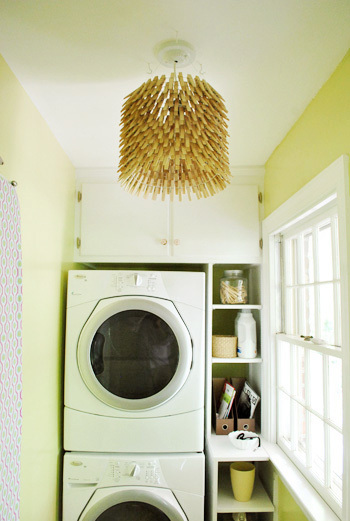 Try making it with colored clothespins for a playroom! This craft make such great use of clothespins. It’s easy, fun- and you can even change it up every season with new clothespins. One day, when I have my dream house by the lake, I will be crafting these clothespin candle holders and leaving them all over the place. I don’t know about you, but in my house, I can never find a trivet when I need one. 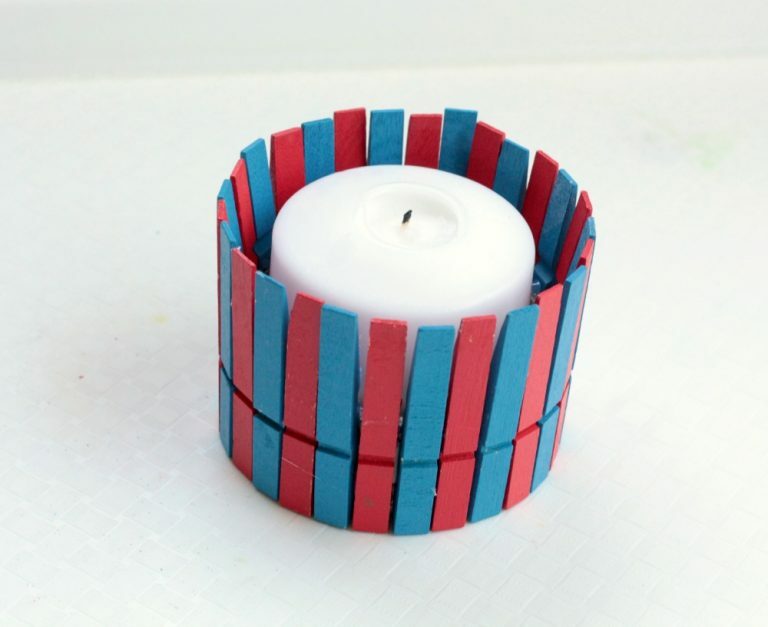 This craft is an easy, inexpensive way to make sure I always have one laying around. This is such a cute way to decorate clothespins- add a magnet and stick ’em on your fridge (I personally use these to display my kids’ artwork) , or use these in some of the other crafts in this roundup. 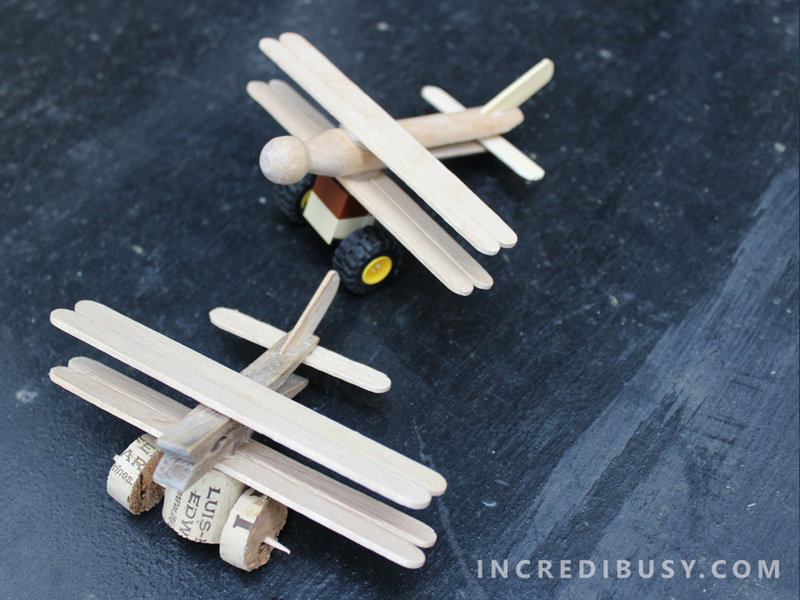 That’s all the clothespin crafts I have to share for now – but no worries! Looking at my craft stash, you can be sure that there will be more. 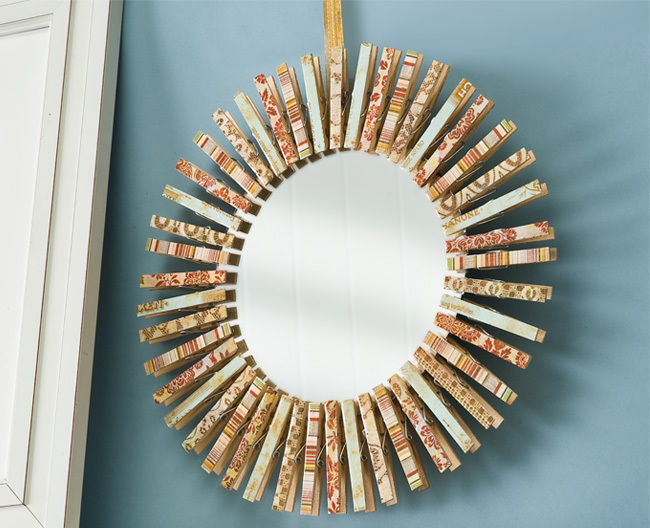 What are your favorite ways to craft with clothespins? Comment below! By material, Crafts for Adults, Crafts for kids, Crafts for moms, Grown-ups, Kids, Recycled crafts. Bookmark. DIY Flip Flops – a Dollar Store Upgrade! daughter this summer to keep her busy and off the computer. Thanks.